sheshe501 from Overton, Morecambe stole our Reverse of 2002 Scotland Base Metal Proof Two Pound photograph to use on eBay, without our permission, to try to sell his own. It is totally dishonest. Image theft is endemic on eBay, and most sellers appear not to care whether their buyers are deceived. When we wrote this page, this eBay member’s feedback was 322 with 100% Positive Feedback according to eBay. 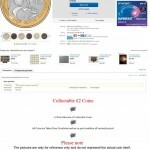 All Coins are Taken From Circulation and are in good condition all variously priced. The pictures are only for reference only and do not represent the actual coin itself. 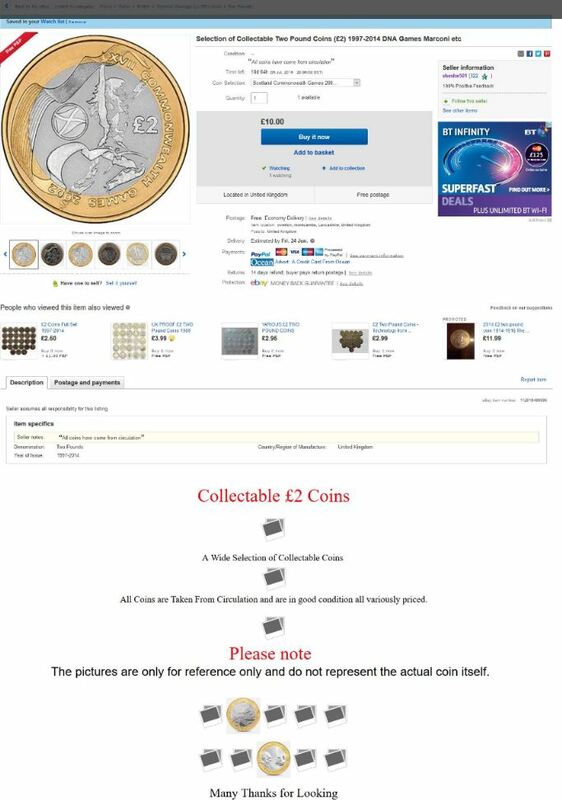 The seller is using a photograph of a high quality proof coin in order to sell his own circulated version, this is dishonest and we imagine there will be a disappointed buyer, if this coin sells.